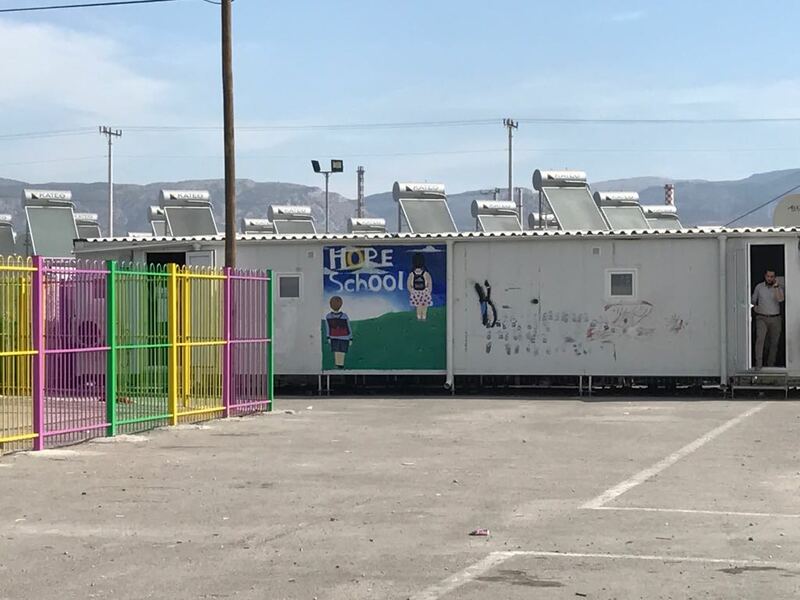 Debra Levine and I visited Skaramagas Camp in Athens, a refugee camp comprised of containers on the port, housing about 3,200 migrants, mostly Syrian, Afghani, Pakistani and Kurdish, about half of whom are children. Most of the camp are intact families. 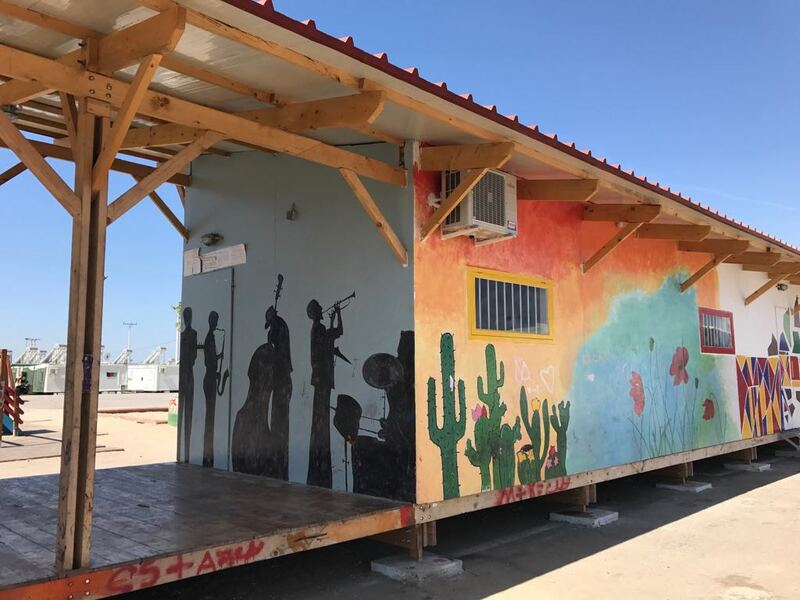 We were visiting via El Sistema Greece, who provide music and dance classes for the kids, one of about 20 formal and informal NGO's operating there. The visit was in relation to a dance piece The Arts Center is co-commissioning by Aakash Odedra Company, #JeSuis, which is his response to the Syrian refugee crisis, Brexit and the questions of what people end up with our collective empathy and who is ignored. He's been visiting Skaramagas. We'll be bringing him and some NYUAD students there during our January term before presenting the World Premiere in Feb. Read more about it here. We went in the morning and we're told that it's much livelier at night when the sun goes down. It also looks more desolate than it actually was because we were asked not to take identifiable photos of the residents without their permission. Nonetheless, it was pretty desolate. Greece is still coming to terms with the implications of an influx of nearly 1million migrants, for some of whom Greece will become their home, others for whom it will be (hopefully) a jumping off point to other parts of Europe. 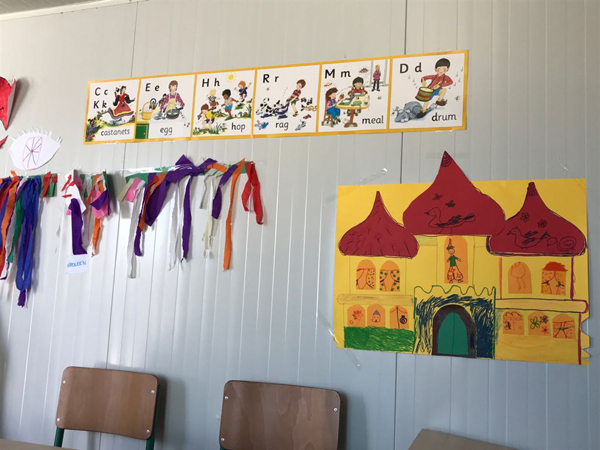 For many of the kids, just getting them back into a semi-regimented school environment is a challenge. Nikos, the music teacher we saw at the Hope School, did an admirable job getting 8-10 year olds to use their voices and their bodies in class, and had interesting strategies to teach basic music notation (big mama whole notes taaa, papa half notes taa, and little black baby quartet notes ta), and rhythm exercises. Thanks to Anis and Dimitra of El Sistema for hosting. To see more events at NYUAD Arts Center, go here.